The Best Time to Publish a Blog Post to Maximize Business Results. According to a recent report by the Content Marketing Institute and MarketingProfs, 80 percent of B2B marketers and 75 percent of B2C marketers use blogging in their company’s content marketing strategy. The same survey revealed that only 34 percent of B2B marketers and 35 percent of B2C marketers would rate their organization’s use of content marketing as very effective or extremely effective. This means that we’re all bought into content marketing, but only a handful of us are really seeing predictable results. So how can marketers overcome this? Concentrate on improving the impact of every piece of content — including every blog post. Put your blog to work to fuel a digital distribution strategy that attracts your target audience, builds brand trust, and ultimately moves them to a purchase decision. None of this is easy. But the sum of many tactical changes can set your content strategy up for success in the long term. One of the most effective tactics for improving your blog shareability is fine-tuning your blogging schedule. This involves finding the best time to publish a blog post, which we surfaced in our 2017 Blogging Report. When should you schedule blog posts for publication? While planning your blogging strategy and schedule, you want to avoid busy times, when a lot of brands are posting to their blogs and there is increased competition for readers’ attention. Instead, focus on the days and times that have proven to get posts the most attention and shares, so you can reach an even larger audience. 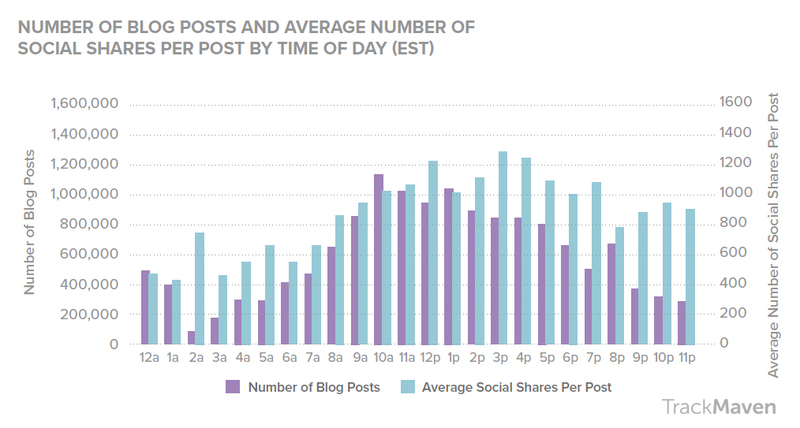 Blog posts published at 3 p.m. EST receive the highest number of social shares on average. In fact, afternoon into evening publications had pretty good share-ability overall, so consider weighting your schedule toward that time scale. The most competitive time to publish is 10 a.m. EST, and although posts published at that time received a good number of shares on average, consider the opportunity cost when compared to posting in the afternoon instead. In our research we found that not only is Sunday the least busy day to publish blog posts. It’s also the best day to publish, because blog posts published on Sundays receive the highest average number of shares per post. 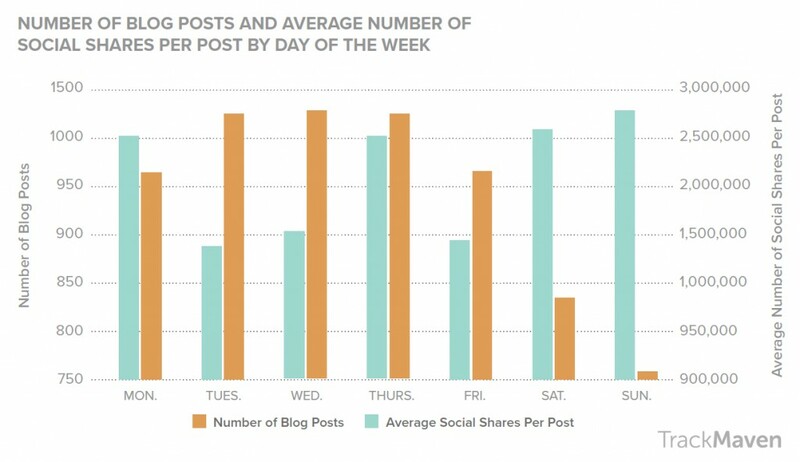 The most competitive day of the week to publish your blog post is on Wednesdays, and posts published on Fridays receive the fewest shares on average, so don’t expect to get as much out of a blog post published on those days as it might have on a Sunday. Best practices to increase blog shareability.